We are committed to getting you to your destination on time, however, sometimes bad weather, natural disasters, technical problems, operational and other issues can cause flight delays and cancellations. Your safety is always our first priority and while we will try our best to provide our service in accordance with the estimated departure and arrival time of your flight, flight times are not guaranteed. We are committed to providing you with the highest levels of customer service including by looking after you if things don’t go as planned. We will provide you with assistance as set out below in the event of a delay or cancellation. Depending on the circumstances, this may include a refund and/or other compensation. You may also have a statutory right to a remedy (including a refund and/or compensation) under the Australian Consumer Law. In Australia, the Australian Consumer Law contains consumer guarantees which provide consumers with a basic, guaranteed level of protection for goods and services that they acquire. For international travel you may have rights under the Warsaw or Montreal Convention. Please see our Conditions of Carriage for more information. If a delay or cancellation occurs within 72 hours of the scheduled departure time, we will re-book you on the next available Qantas flight at no additional cost to you. Alternatively, you may be entitled to a refund (further information set out below). We take the utmost care in managing each flight, but on rare occasions a flight may be overbooked and we may need to seek a volunteer to change to another flight. If there are no volunteers, we will choose passengers to change to another flight. If this happens to you, and you arrived on time for your confirmed flight with all required documentation, we will re-book you on the next available Qantas flight and provide you with the assistance (in accordance with the above table for a delay or cancellation within our control). 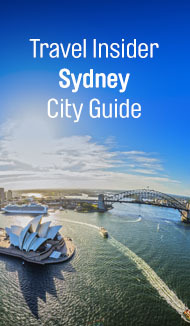 If you are flying internationally and the next available flight departs over 4 hours after your scheduled departure time, you will also be given a Qantas travel voucher. If we cancel your flight and we cannot offer you suitable alternative arrangements. If we delay your flight to the extent that you have to cancel your travel. If we make a significant change# to the scheduled flight time and we are unable to book you on an alternative flight that is acceptable to you. 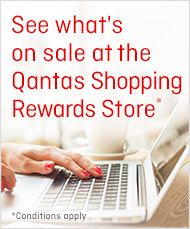 If we cause you to miss a connecting Qantas flight on which you have a confirmed reservation. If we are unable to carry you and you have a confirmed reservation. If you wish to claim a refund, please contact Customer Care. If you are entitled to a refund, the refund will be equal to the fare paid if no part of the ticket is used. If part of the ticket is used, the refund will be equal to the difference between the fare paid and the fare that would have been payable if booked for the travel taken. You may also have a statutory right to a remedy (including a refund and/or compensation) under the Australian Consumer Law. # A significant change means a change that significantly impacts you and your travel plans.